THAT WOMAN IS ME: WHO SIR? ME SIR? 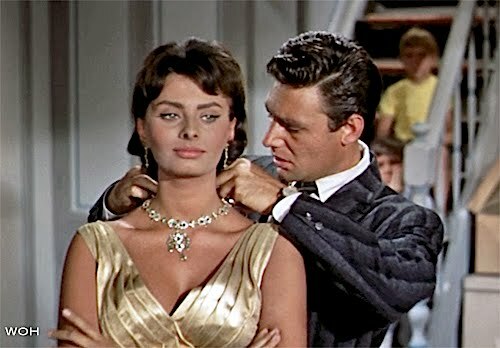 Sophia Loren and Harry Guardino in HOUSEBOAT (1958). Original streaming movie screenshot by Will Holub 2015.